Looking to save on energy costs during the warmer months? Add a new, high-efficiency central air conditioning system or a ductless mini-split technology to your home! We carry equipment from top manufacturers like LG, Mitsubishi, and Heil®. Upgrading your existing cooling equipment can significantly lower your summer energy costs and reduce your risk of system failure. 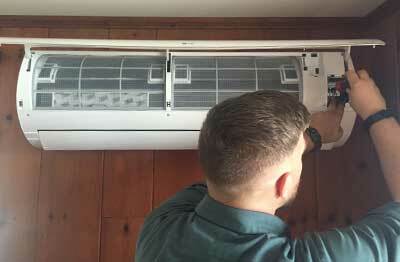 We supply and install both central air and new ductless mini-split air conditioning system options. More efficient and convenient than conventional room air conditioners, central air conditioning systems provide quiet, even cooling distribution. The associated ductwork can easily be integrated with your heating system, as an additional benefit. If you do not have ductwork in your home, the ductless mini-split cooling system is an excellent alternative for providing consistent, efficient comfort throughout the areas in your home you wish to keep cool. Already have a high-efficiency A/C system? Keep it properly maintained to promote peak performance! Call us at (860) 536-7927 for a FREE estimate or for more information.